As the photographer notes, "a skullless situation at Norlin" library on the campus of the University of Colorado, Sept. 2013. Some cities have created specialized recreation equipment loan facilities. The PLAY Library is open! The PLAY Library was created by CS4L Kingston to promote Physical Literacy and help Kingston families be physically active at home. There are 68 take-home kits promoting Physical Literacy and lifelong physical activity. These kits are publicly available to borrow at no cost. Individuals must show photo ID and provide their name, phone #, email, address. Each PLAY Library location determines the length of time that a kit can be borrowed. An example of some of the materials provided through the Physical Literacy program being offered to Kingston East residents through the KMFRC. It’s a different twist on literacy; instead of “See spot run. Run, Spot run,” children are being encouraged to do just that — run, skip, hop or just move — through a new “physical literacy” project called PLAY Library. “Just as children learn language skills through reading and writing, they also need to learn movement skills through playing and trying new things. This is physical literacy,” explained Denita Arthurs, Assistant Supervisor, Recreation Program (Community Development). The two main purposes of the PLAY library, according to Arthurs, are to promote physical literacy and to help Kingston families be active at home. “With research showing that obesity is rising and life expectancy is decreasing, a new dialogue around the provision of physical activity programming, education and opportunities is needed,” she said. In order to borrow equipment from the Library, the borrower must be a resident of South Dundas. A borrower must provide proper I.D. and fill out a membership form. Children under the age of 18 must have a parent or guardian present to fill out the necessary information. Once the forms have been filled out, a borrower is welcome to use any equipment for up to 3 days. Thrive has a large equipment lending library with a variety of sporting equipment available to be borrowed by youth, families or service providers. If you are interested in borrowing any of our equipment please call us today. 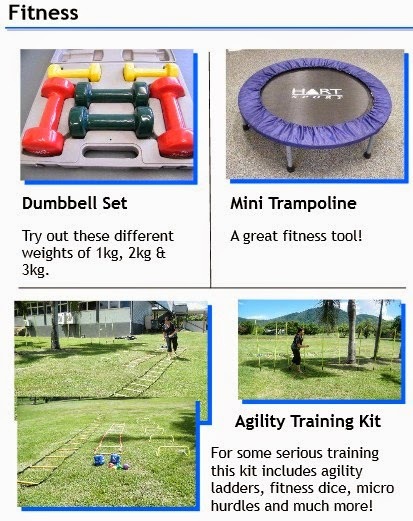 A wide variety of Sporting, Fitness and Fun Play Equipment is available for loan from the Cooktown PCYC Events Centre. Browse the catalogue link below and fill in the hire form. Equipment may be borrowed for periods of up to 1 week. Please provide identification showing residency of Cook Shire. Borrowers must be over 18yrs. 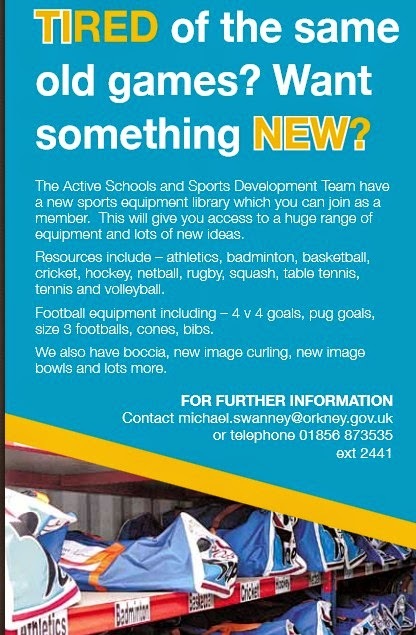 Sport Venture Library provides equipment free-of-charge to groups working with inner-city youth. Over 100 groups currently access the equipment from the library. Equipment is collected from community and private donations and either lent out through the library program or recycled to individuals and group that demonstrate the need. If you are interested in volunteering please read our about of volunteer opportunities. Gympie Regional Council was one of 12 regions given funding through the Department of Communities, Sport and Recreation Services to trial a sports lending library. 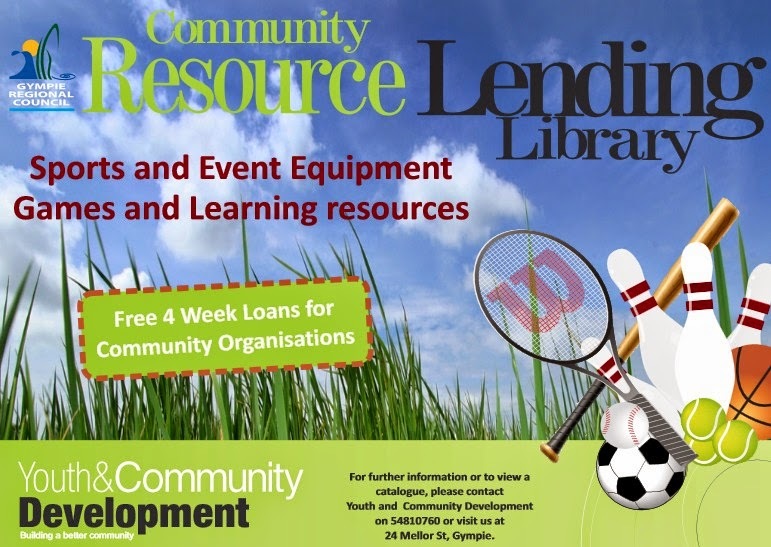 The community resource lending library is available for community organisations to access sports and event equipment, games and learning resources for a period of up to four weeks at a time at no cost. -Have NYPL, BPL and QPL and/or NYC parks dept set up mechanisms so that city council members can easily fund Recreation Equipment Libraries in their districts through discretionary funding either at local libraries, recreation centers or through other venues. -Participatory Budgeting Initiatives cannot pay for staff of recreation equipment libraries, it can however pay for parkhouses and equipment that has a lifespan over 5 years. Our motto "If We Own It, We Loan It" says it all. The Equipment Loan Program provides the University Community with the opportunity to experience a new sport without making a financial investment in equipment. Equipment Loan items include: basketballs, racquetball, racquets, weight belts, tennis racquets, and a variety of popular sports equipment. New equipment is added each semester to ensure a high quality experience. Equipment may be borrowed with a valid University I.D. Equipment is loaned for the day and must be returned before the facility closing. It's summertime! Need a football, frisbee, or soccer ball to use outside? The library has it. We also have Bocce Ball, croquet, and a few other fun outdoor games. Come check them out.